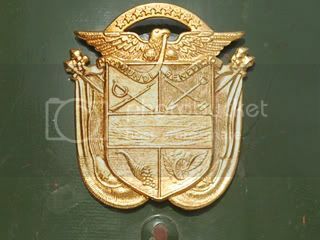 The Panamanian National Guard (Guardia Nacional) was founded in 1953 and reorganized under Manuel Antonio Noriega - the nation's Maximum Leader - as the Defense Forces of Panama (Fuerzas de Defensa de Panama), more commonly known as the PDF. 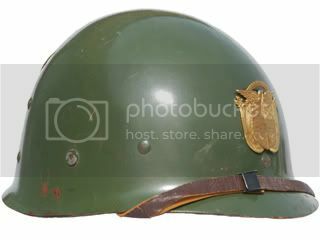 Various American helmets were in use by the PDF at the time of the 1989 December invasion of Panama, known as Operation Just Cause. 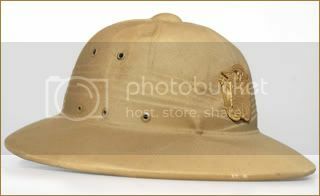 An American-made pressed fiber sun featuring the Fuerzas de Defensa de Panama insignia.